SANTIAGO, Chile (CNN) - There's no more serious decision for any commander-in-chief than to authorize the use of military force. While President Obama inherited two wars in Iraq and Afghanistan, the military operation in Libya is the first new operation he has authorized since taking office. Here's an inside look into how the president and his administration handled this important task as he was about to embark on a five day trip through Latin America. 9:00 a.m. ET: National Security Advisor Donilon holds a secure conference call with Defense Secretary Robert Gates, Secretary of State Hillary Clinton, and Joint Chiefs of Staff Admiral Mike Mullen on Libya diplomatic and military planning after U.N. Security Council Resolution 1973 passed the night before, authorizing a no-fly zone over Libya and to use all necessary means to protect civilians. 9:30 a.m. ET: Donilon holds a secure video conference with coalition counterparts from the United Kingdom and France on the planning, “both in terms of our military planning and in terms of the Paris meeting the next day,” he said. 10:15 a.m. ET: President Obama receives his daily Presidential Daily Briefing in the Oval Office. Donilon said the briefing focused on developments in Libya, including military and diplomatic efforts. 11:00 a.m. ET: Obama meets for one hour in the Oval Office with the Vice President Biden, Sec. Gates, Adm. Mullen, Sec. Clinton, Donilon and his deputy Denis McDonough, Tony Blinken from the vice president’s office, Jim Steinberg, and Bill Burns. They reviewed “the detailed planning and a presentation by Admiral Mullen and a detailed plan for the events of the next day in Paris presented by Secretary Clinton,” Donilon said. 12:30 p.m. ET: Obama meets in the Situation Room with a bipartisan group of Congressional leaders on Libya for one hour. Some leaders attended the meeting in person and a larger group participates by phone. 2:22 p.m. ET: The president delivers a statement on Libya to the press. Around 7:00 p.m. ET: President Obama meets with his National Security Council in the Oval Office to conduct a final review of the plans and concept of action. The group included Donilon, Sec. Clinton, Adm. Mullen, and Obama Chief of Staff Bill Daley. That evening, Sec. Clinton flies to Paris and the president departs for Brazil. 6:00 a.m. ET/7:00 a.m. BRT: Aboard Air Force One en route to Brasilia, Brazil, Donilon said President Obama receives a “full briefing on the situation on the ground and planning and the Paris conference." 8:00 a.m. ET/9:00 a.m. BRT: Obama is briefed by Donilon at his Brasilia hotel. 8:45 a.m. ET/9:45 a.m. BRT: Between an arrival ceremony and meetings with Brazilian President Dilma Rouseff at Palacio do Planalto, the president speaks by phone with UAE Crown Prince Mohamed Bin Zayed on Libya and the enforcement of the Security Council resolution. 11:00 a.m. ET/12:00 p.m. BRT: While the president is in his expanded bilateral meeting with Rouseff, Donilon begins a call with Sec. Clinton, Sec. Gates, Adm. Mullen, and McDonough. The president joins the call 15 minutes later after his meeting concludes. Donilon said the 30-minute call was where Obama gave final orders to authorize U.S. military forces to join coalition efforts in Libya. 11:30 a.m. ET/12:30 p.m. BRT: Donilon and Daley have an additional call with Sec. Gates. Donilon said they conducted briefings throughout the day. 11:54 a.m. ET/12:54 p.m. BRT: President Obama mentions Libya in a statement with President Rouseff at Palacio do Planalto in Brasilia. Approx. 3:00 p.m. ET/4:00 p.m. BRT: U.S. military forces, under the command of Commander, U.S. Africa Command, began a series of strikes against air defense systems and military airfields in Libya for the purposes of preparing a no-fly zone. 8:30 a.m. ET/9:30 a.m. BRT: Obama has a secure conference call at the president’s hotel in Rio de Janeiro with Donilon, Daley, Sec. Gates, Sec. Clinton, Adm. Mullen, Donilon, Blinken, and General Carter Ham, commander of U.S. Africa Command who is the current coordinator of the coalition efforts in Libya. Donilon said there was a three-part agenda to the meeting. First, was to review the events overnight and get an assessment from Gen. Ham and Adm. Mullen of what had been accomplished during the course of the first phase of this operation. Sec. Clinton briefed “on the diplomatic situation on the building-out of the coalition,” Donilon said. The third part of the meeting, he said, was focused on next phases and the projects that would be undertaken in the next 24 hours. 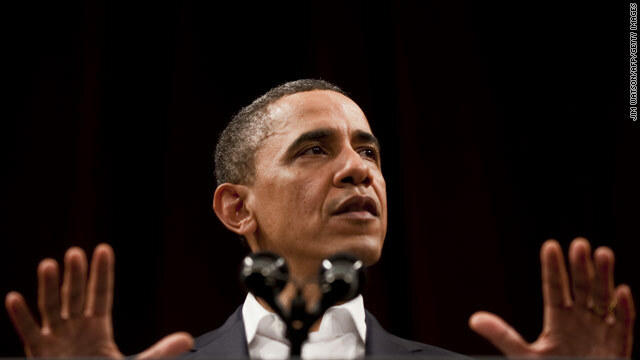 11:30 a.m. ET/12:30 p.m. BRT: Obama is briefed on the situation in Libya. 6:18 p.m. ET/7:18 p.m. BRT: Donilon, Rhodes and Carney brief reporters on the situation in Libya. Donilon said he briefed the president at his hotel before briefing reporters. 8:10 a.m. ET/9:10 a.m. BRT: Air Force One departs Rio de Janeiro en route Santiago, Chile. Press Secretary Jay Carney, Donilon and Rhodes brief reporters aboard Air Force One. 8:40 a.m. ET/9:40 a.m. BRT: President Obama has an hour-long secure call aboard Air Force One with top U.S. officials on the Libya operation. Officials included Daley, Donilon, Sec. Clinton, Sec. Gates, Adm. Mullen, and Gen. Ham. 2:30 p.m. ET/3:30 p.m. UTC: In Santiago, President Obama addresses the situation in Libya and is asked about it by reporters at a press conference with Chilean President Sebastian Pinera. 3:18 p.m. ET/4:18 p.m. UTC: The White House releases a letter from the president to Congressional leaders providing a report on the operations in Libya. The letter stated, "The United States has not deployed ground forces into Libya. United States forces are conducting a limited and well-defined mission in support of international efforts to protect civilians and prevent a humanitarian disaster. Accordingly, U.S. forces have targeted the Gadhafi regime's air defense systems, command and control structures, and other capabilities of Gadhafi’s armed forces used to attack civilians and civilian populated areas." You people are some double-minded lunatics. You sit up and call the PRESIDENT a murderer, because people were dying by GADHAFIS' military, as he awaited CLINTON and RICE to do their jobs to make sure it was legal for us to go in. 'Oh, he's waiting to long! The blood of black AFRICAN children is on his hand'! We should've gone over 30 days ago, you say! He's finally able to authorize the mission and go; now here you all are whininging he may not have had CONGRESS approval! McCain, Lieberman, Boehner?!? "blood of black AFRICAN children is on his hand" because he bombed Libya. It was an illegal action with out US Congress consent, an impeachable offence, war crime. As a presidential candidate, Sen. Barry emphatically stated that the Constitution does not give the president the authority to unilaterally authorize a military attack unless it is needed to stop an actual or imminent attack on the United States. Barry made the assertion in a Dec. 20, 2007 interview with the Boston Globe when reporter Charlie Savage asked him under what circumstances the president would have the constitutional authority to bomb Iran without first seeking authorization from Congress. “The President does not have power under the Constitution to unilaterally authorize a military attack in a situation that does not involve stopping an actual or imminent threat to the nation,” Barry responded. Jay, what happened to your disparaging remarks of OBAMA was committing black on black crimes; killing African children for not going to LIBYA sooner; for waiting on UN 'go ahead', that the blood of AFRICAN children was on his hands, for waiting so long? What happened to ALL of you who condemed him for not authorizing military strike for humanitarian reasons to stop the killing of the LIBYAN 'CHILDREN' any sooner than he did? Even CONGRESS on SUNDAY morning talkshows? He's damned! Doing AND not doing! YES?? Jay, you made those remarks the same day that PRES OBAMA authorized military action! (3/19) If I rememember correctly, you accused him of being irresponsible for not listening to the US pindits, bloggers; and I thought CONGRESS was on board since they were ALL on TV saying the same thing! PRES OBAMA was being blamed for blood of black AFRICAN children for not stepping up to the plate any sooner than he did! As soon as he did, the media, CONGRESS, and you blame and threaten his job for doing so! IT'S HATE!